Here in the Middle East, echoes of the Biblical prophets are never far off–even in environmental discourse. Nowhere is that more apparent than in the famous cedars of Lebanon, which have been a wonder to the world for thousands of years, and were used to build King Solomon’s palace. Some of the remaining cedars in Lebanon are in fact 2,000 years old. But now global warming, which we have seen will be particularly pernicious in the Middle East, threatens the existence of these ancient trees. But while Lebanon’s cedars are no longer threatened by the forces of human architecture and shipbuilding, they are vulnerable to the changing climate. 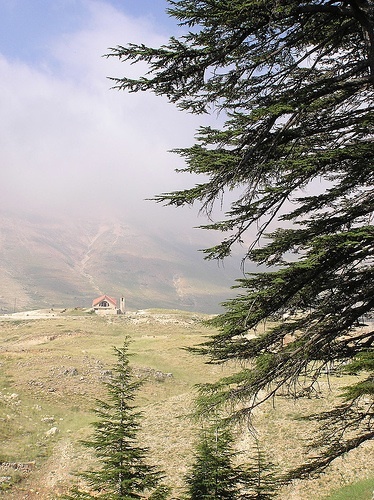 Cedars need a certain degree of moisture in the soil and humidity in the air in order to survive, according to Rania Masri, an assistant professor at the University of Balamand in North Lebanon. Since the progress of climate change has indicated a decrease in humidity and rainfall, this could spell the eventual end of the cedars–and the diverse species that are fostered in their shade.